Enjoy every twist and turn of Michigan’s cool corn mazes this fall. Across the state, you’ll find tricky mazes with dead ends, fun themes, and the occasional spooky, flashlight-lit nighttime variety. Whatever your preference, these corn mazes in Michigan are sure to impress! Richland's Gull Meadow Farms offers a serious corn maze, extending over six acres of total surface area, and a particular challenge in five hole-punch stations located throughout. It's not just a matter of getting through, but also of finding the objectives throughout the maze. There's even a flashlight maze on weekends, which is considered family friendly and starts at 7 p.m. Best of all, there's a recently-added feature for those who need a little help: a bridge, which provides a slightly better perspective on the maze itself. Fennville's Crane Orchards offers one massive piece of corn maze work in the form of a 20-acre maze. That's an appreciable fraction of a mile on either side, so if you're looking for a long walk and plenty of twists, you'll find everything you could ask for right here. Since Crane Orchards has been in operation for over a century now, you'll be able to tread the same ground that your parents, grandparents, and maybe even farther back trod in the midst of corn for acres. Different corn, sure, but the same memorable experience. Not far outside of Edwardsburg, A-Mazing Acres runs two separate versions of its corn maze. One is a sunlit, family-friendly outing, while the other—which happens as it gets dark—switches over to a flashlight maze that takes on a whole new, and wholly creepy, life of its own. It's not just the corn maze, though, as it also boasts a pumpkin farm and even some gem mining and a hay ride. There's plenty going on at A-Mazing Acres, and it's just waiting for you to get out in the midst of it. The Ed Dunneback and Girls Farm Market outside of Grand Rapids is a pretty impressive operation, with a baked goods shop, you-pick apple operations, and plenty more. The corn maze, however, is the real winner. The Dunnebacks have put on a master class in corn maze. It's eight acres, but they augment the experience nicely by adding stations with trivia questions. Those answering the questions correctly will find some help waiting to get through the maze, adding an extra challenge. Frankenmuth makes a surprisingly robust destination, and the Frankenmuth Corn Maze will explain why wonderfully. Featuring three different kinds of maze in one, including treasure hunting and mystery solving elements, the Frankenmuth Corn Maze will offer an experience of both depth and breadth as it extends over five miles and offers several different rule sets in one. Head on out to Buckley to check out Pahl's Country Store, home to a set of corn mazes of varying difficulty. While the corn mazes are said to be pretty substantial, there's actually a separate maze specifically geared toward the younger challenger. Made out of straw—yes, it's a straw maze—it presents less of a challenge and thus one more likely accomplished by the inexperienced. Selectable difficulty makes for a noteworthy attraction, and Pahl's Country Store will have plenty more waiting. With two separate mazes and a total of four miles' worth of trails, you'll be able to take your pick of exciting experiences. Go in the daytime for the standard corn maze wander, or go at night for a slightly more sinister—yet still totally spook-free, reports note—and enjoy the long walk through the corn. Past corn maze designs include a pirate theme, Detroit Tigers theme, and Detroit Lions theme. Jacob's Corn Maze is part of Jacob's Farm, an operation that's been running since 1892. Found in Traverse City, Jacob's Corn Maze comes complete with a theme. Past corn mazes designs include an Egyptian theme and an “Expedition Everest” theme. Beyond the corn maze, there are plenty of other attractions here as well, including wagon rides, a pumpkin patch, and more. 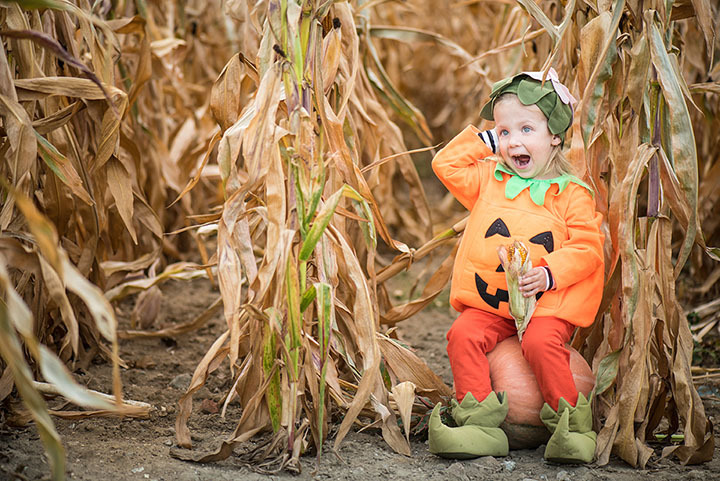 Monroe's Kackleberry Farm offers what it describes as “...a seasonal agri-tourism adventure.” With 12 acres of corn maze to enjoy, operating in both daylight and under flashlight conditions, that's just the start of your agri-tourism adventure. Check out the bonfire pits—reservations required—as well as the home-cooked chicken dinner, bakery options, and the new layered meals served at the food concessions. View more Michigan Corn Mazes.